Perfect for quantity orders, the new flagpole hardware redesign for our Best Seller Falcon Flag is the economical choice. Plus, with upgraded hardware, its new pole connections give more height options. 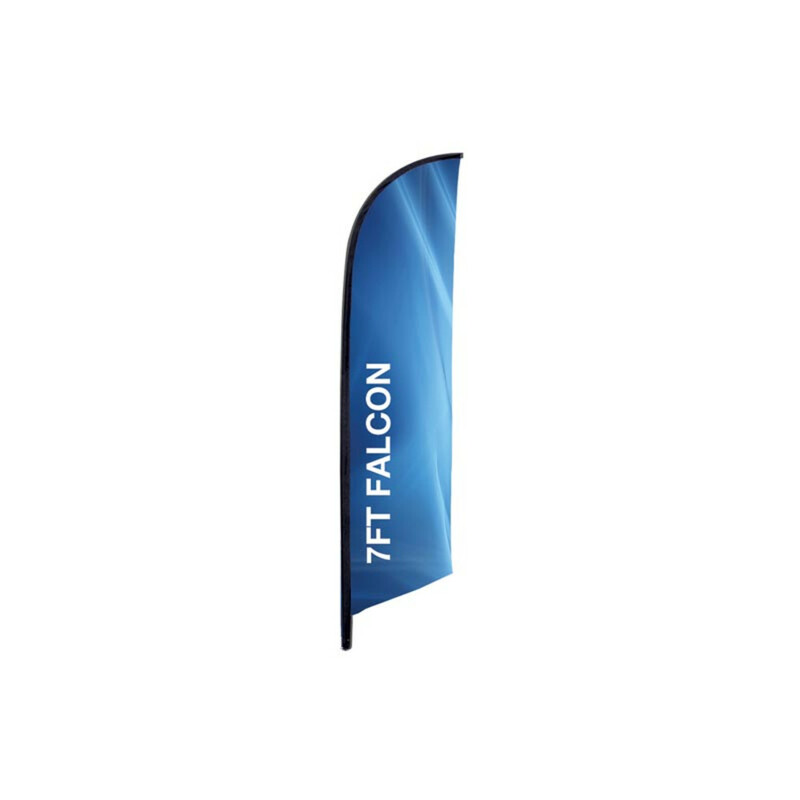 Now in more sizes, you can find your favorite Falcon flags in these heights: XS (7’), SM (8.25’), MD (10.5’), LG (14’), XL (17’). Falcon Flag is intended for display outdoors. Insert the spike base into grass or use the X-base to stand on concrete. We custom print your graphic artwork on polyester mesh by the process of dye sublimation. Our inks heavily saturate the material to create a “bleed-through” effect for our single-sided prints, and double-sided prints are finished with a silver-gray blocker that lays between. Black flag trim is sewn on the edge of the graphic (pole-side), leaving a pocket for pole insertion. A set of grommets are installed on the bottom of the trim in which the short bungee cord (included) can loop through and snugly attach the graphic to the base. 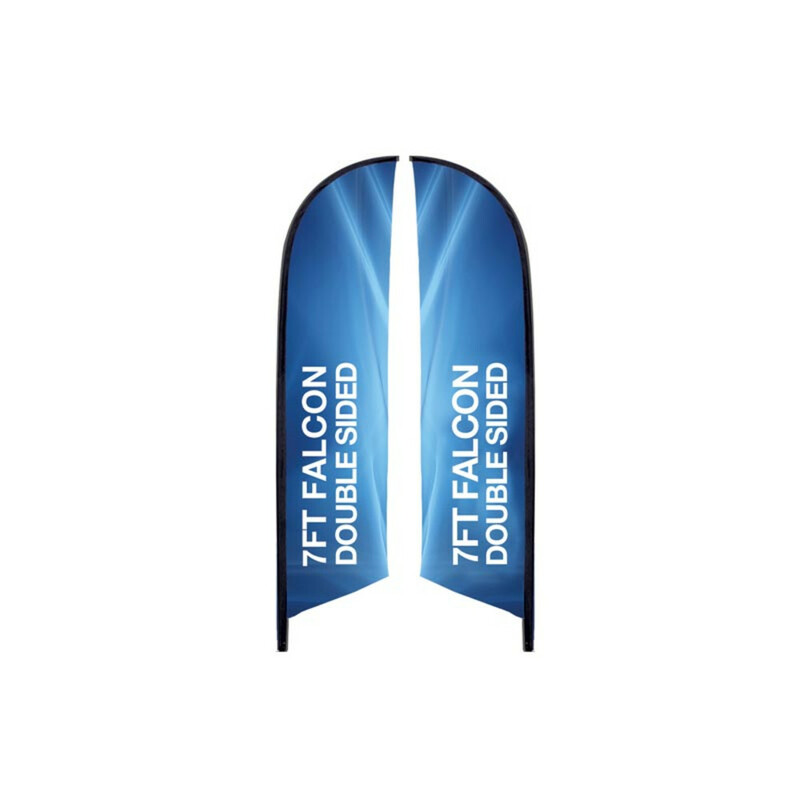 This Double-Sided printed graphic is a replacement graphic for the 7ft X-Small Falcon Banner Stand.